On Wednesday, I escaped the hot and crowded streets of Buenos Aires and took a ferry across the Rio de La Plata to neighboring Uruguay. 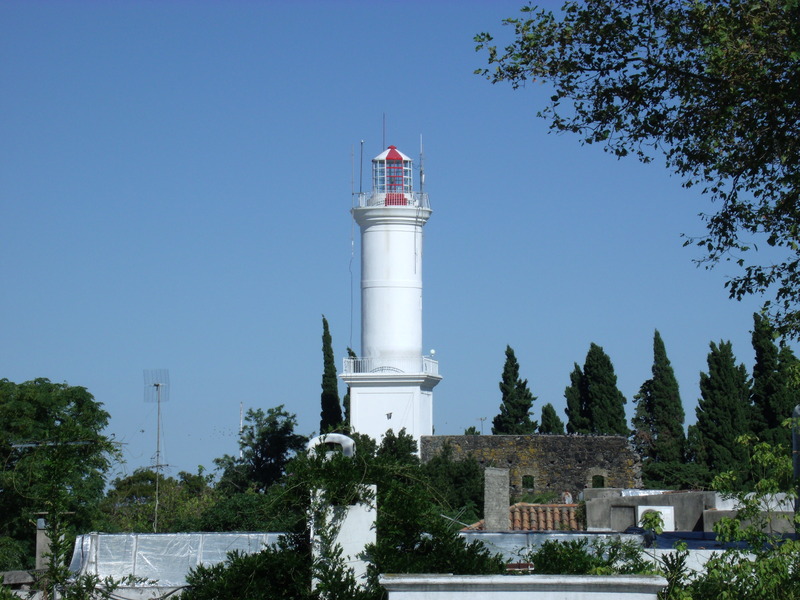 Colonia del Sacramento, a Portuguese colonial city, sits just 50 kilometers from Buenos Aires. Since the boat ride takes only an hour and a half, it’s a popular day trip for expats living in Argentina to renew their tourist visas. 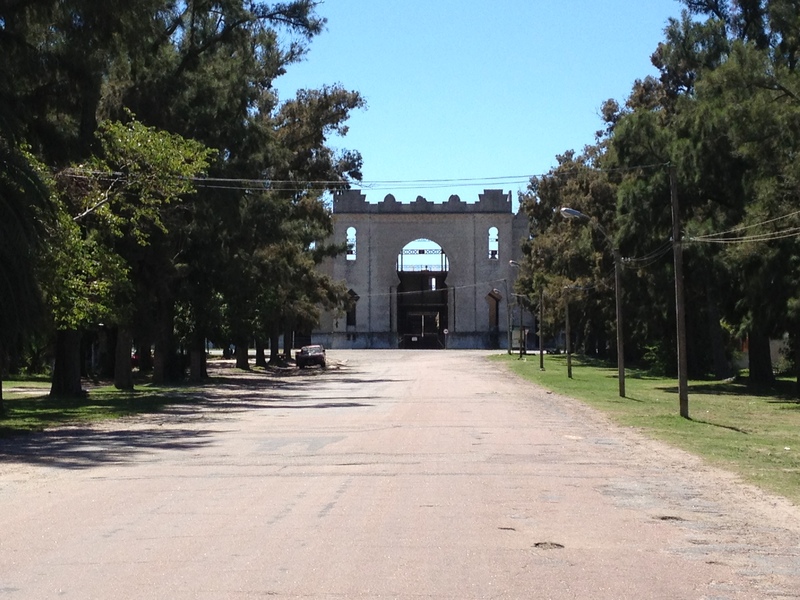 When I stepped off the boat in Uruguay, I hopped on my bike to ride around the city. I quickly realized that Colonia was far too small and concentrated to explore at a bike’s pace. Additionally, Colonia’s old town is paved with cobbletones and spread out over just 10 blocks and two plazas on a point surrounded on three sides by water. The rest of the city extends out to the east and north, providing miles and miles of beaches for locals and portenos to watch the sun set over the river. I spent most of the morning walking my bike around the old town like an aged pet, picking it up to cross rough streets. In the end, I loved the feel of the old city and enjoyed taking my time to explore its history. But for the first two hours I was there, I felt hurried, rushed to see more. I kept trying to plan out what to do with my whole day. After sitting on a bench in a plaza for 30 minutes contemplating these questions, I realized I was insulting Colonia. Instead, I got up off the bench and started walking, just letting my feet take me wherever they led. Over the next four hours, I had a pleasant and unremarkable day in the town. For instance, I rode my bike out to visit a failed tourist development that includes a bull ring, horse track, and a 3,000 person stadium for a Basque sport called jai alai. The horse track still technically works, but it looks like it shouldn’t be allowed to. The other buildings are fenced off, and I fought my inner explorer’s desire to investigate. Following this stroll, I stopped by the beach and dipped my feet in the Uruguayan water. After the ride, I found a pleasant café with an agreeable ham and cheese sandwich and café con leche. Nothing about the day stood out, but it aptly demonstrates how to enjoy a town like Colonia. During the day, I found myself thinking about the other ways it is important to slow down or speed up to match the pace of a place. I often mismatch speeds when I’m about to embark on a hike. At the trailhead, having navigated the suburbs to get out to the mountains, my mind switches to calculating the needs of the hike. But a hike is a much different beast than navigating a highway. Just like in Colonia, during the first couple hours of a hike, I find myself thinking about how long it’s going to take, where to stop for lunch, or at what time will I be done. Enough. Once I get settled, I again let my feet take me, and push all my worries and planning from my mind. The hike then becomes much more enjoyable, almost like a meditative experience. Which brings me back to Colonia and the difficulties of travel. When moving from place to place, tourists bring with them the pace from their previous location, and probably also the calculations of their journey. Sitting in Colonia on that park bench, anxious about my day, was actually quite instructive for the long-term viability of my trip. Each time I get to a new city or new landmark, I’ll have to try to match the pace of the city and its residents to get the most out of the experience. This entry was posted in Uncategorized by okobojidan. Bookmark the permalink.